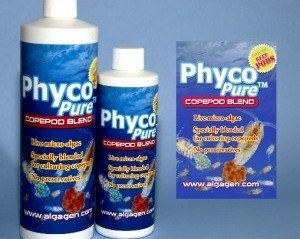 PhycoPure(TM) CopePOD Blend CopePODS do not eat all types of phytoplankton. In fact, there are specific types of phyto that are best for POD growth. The two that we use in-house to produce our PODS have been bottled fresh, so that you will have the best results possible. This blend of Phyto is also GREAT for clams.